Energy management is the strategy of adjusting and optimizing energy production and energy consumption units. The objectives are resource conservation, climate protection and ultimately, cost savings. Save money with these energy management tips. The food service industry spends $10 billion on energy each year. Up to 80% of that energy is wasted by inefficient equipment. 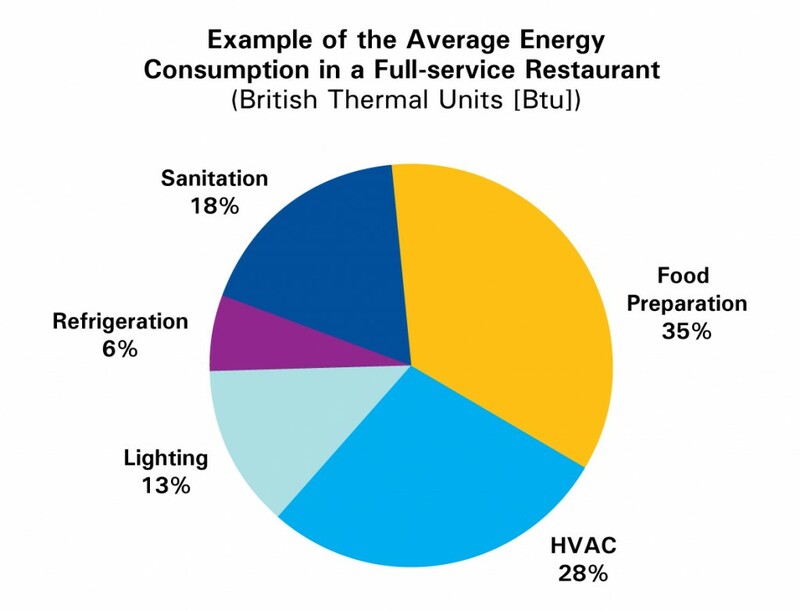 Restaurants use about 2.5 times more energy per square foot than other commercial buildings. Did you know that a typical electric deep fat fryer uses more than 11,000 kilowatt-hours (kWh) of energy per year which could cost you more than $1,000 in electricity? walk-in refrigerators and kitchen ventilation hoods. Replace standard efficiency ovens and fryers with energy efficient models. Equip walk-in cooler door with plastic strip curtains and auto door closer and install electronically commutated walk-in cooler evaporator fan motors. Equipment that is left on when it is not performing useful work will cost you money. Implement a startup/shutdown system that will ensure you are using only the equipment that you need, when you need it. Leaky gaskets on walk-in refrigerator, opened freezer doors, cooking appliances that have broken or missing knobs—everyday wear and tear will result in an increase in your energy bills. These issues should be addressed immediately when encountered. Ovens tend to be more efficient than rotisseries; griddles tend to be more efficient than broilers. Try to modify your cooking methods and menu where possible; find ways to rely on your more energy-efficient appliances to cook for your customers. Do a regular thermostat check on your appliances including refrigeration, dish machines, griddles and hot water heaters. These appliances need to be recalibrated to stay efficient. Over time, the performance of your kitchen equipment changes, thermostats and control systems can fail, fall out of calibration or be readjusted. Take the time to reset them to the correct operating temperature. Steam cookers provide an effective way to batch-cook food but generating steam is an energy-intensive process. It is important that you close the doors, use the timer, Cut idle time and keep them maintained. Use energy-efficient fryers that offer shorter cook times and faster temperature recovery times. Invest in fryers that offers higher pound-per-hour production rates through advanced burner and heat exchanger designs. Some models also offer an insulated fry pot, which reduces standby losses, giving the fryer lower idle energy rate. To save energy when using Convection ovens, try cutting idle time & turn off backup ovens when possible. Fully load the oven when cooking and replace seals & tighten hinges. If you are using a hot food holding cabinets, choose ones that feature improved insulation so heat stays in the cabinet and out of the kitchen. Other available features that could potentially save energy include magnetic door gaskets, auto-door closers, and dutch doors. In addition, turning the unit of overnight, using the timer and replace missing or worn out control knobs will save energy. Broilers can be the most energy intensive appliance in the kitchen because they produce searing heat that requires a great deal of energy plus they have simple, non-thermostatic controls. Consider upgrading to the new generation of broilers – they incorporates better radiant designs, allowing them to get the job done while consuming about 25 percent less energy. Cutting preheat time, Turning off unneeded sections, reducing idle time and replace missing knobs equals additional savings – up to $600 annually according to Energystar.gov. Ranges are manually controlled and can be energy guzzlers depending on how you operate them. A potential alternative to traditional range tops are induction ranges; they are more expensive but offer very high efficiency, rapid heat up, precise controls and low maintenance. Maintaining and adjusting burners, using a lid and cutting idle time offers up additional savings. Properly insulated Reach-In Refrigerators and freezers with components such as high-efficiency compressors and motors can lead to energy savings of as much as 30 percent. Combine practices such as turning off door heaters when possible, cleaning coils, setting defrost timers and replacing worn gaskets will save you up to $325 annually. You can improve a Walk-In refrigerators’ energy performance with a few good practices. These include allowing proper air circulation, insulating suction lines, checking refrigerant charge, repairing and realigning doors and cleaning coils. When using commercial ice machines you can cut down on your daytime electricity demand by installing a timer and shifting ice production to nighttime off-peak hours. Larger ice machines are typically more efficient than smaller ones, yet the price difference is usually minimal. Avoid water-cooled ice machines because of their high water cost, which make them significantly more expensive to operate – Plus water-cooled ice machines do not currently qualify for ENERGY STAR. In addition to using high-efficiency CFLs and lighting fixtures in your establishment, installing occupancy sensors in closets, storage rooms, break rooms and restrooms equals additional savings. Look for sealed, low temperature-specific sensors for refrigerated environments. If your restaurant features linear fluorescent lighting with T12 lamps and magnetic ballasts, it is time to upgrade. Switch to more efficient T8 or T5 lamps with electronic ballasts. Electronic ballasts typically have faster on-times and do not hum or flicker. 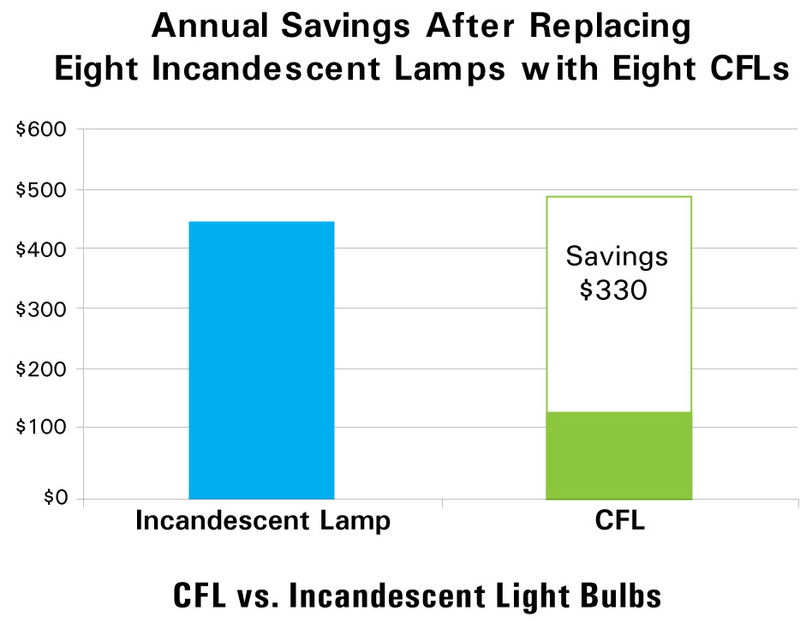 Look for utility incentives for lighting upgrades in your area. Swap your old Open/Closed and EXIT signs with LED technology for electricity savings up to 80 percent (per Energystar.gov) . 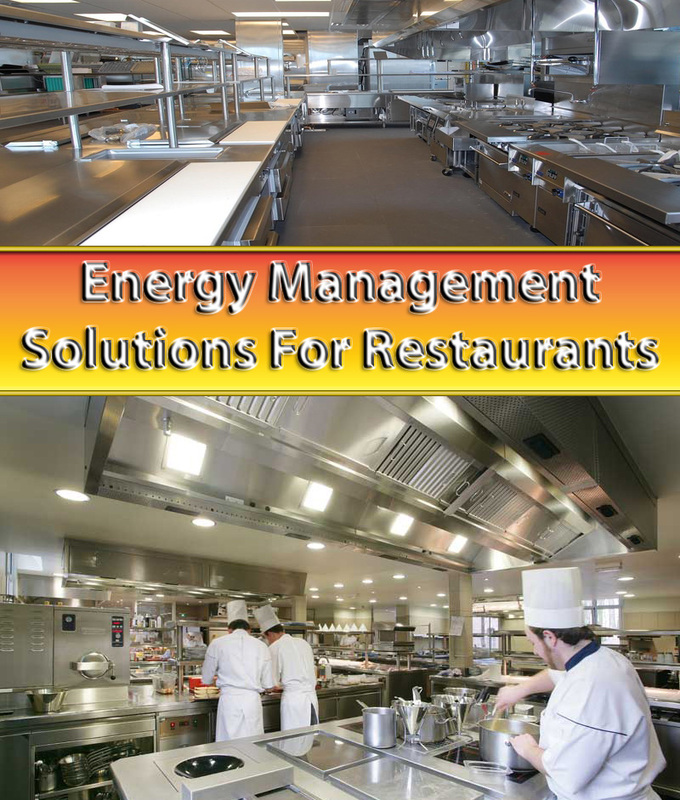 Heating and cooling systems account for a large portion of a restaurant’s annual energy use. Energy use falls by 4 to 5 percent for every degree that you raise your cooling thermostat setpoint. Decreasing central cooling by only 3°F could trim air conditioning costs by 12 to 15 percent. Add an efficient ceiling fan to compensate for the difference in air temperature. Include your heating and cooling equipment in the start-up and shut down schedule to save even more. Install energy efficient ventilating fans in restrooms. They use 70 percent less energy than standard models. Clean heat-transfer coils, replace air filters, repair broken duct work and recommission economizers. Hot, uncomfortable working environment resulting from heat and smoke spilling from the exhaust system to the kitchen results in higher energy bills. Cut down on spillage by adding inexpensive side panels to hoods. Position each cooking appliance as far back against the wall as possible to maximize hood overhang and close the air gap between the appliance and the wall. Install demand-based exhaust controls. They use sensors to monitor cooking and varies the exhaust fan speed to match the ventilation needs. Demand ventilation controls could reduce your exhaust system costs by up to 50 percent. They can be installed on either new equipment or retrofitted to existing hoods. Applying a clear, heat rejecting window film will help cut your cooling costs while making your dining room more comfortable. If you use a patio heater remember that they are radiant devices that heat up quickly so there is no reason to leave them running if a seating area is temporarily empty. Turning down dipper wells and making sure they are OFF when the kitchen is closed can save you $1,000 annually. Fixing leaks in sinks, mop-stations and dish washing machines can save an additional $1,000 annually. Run fully loaded dish racks through the dish machine. If your dishwasher’s pressure gauge is showing pressure above 25 psi, there is a good chance you are using much more water than is necessary. Most dishwashers require only around 20 psi. If you have a conveyor-style dishwasher, make sure you are using it in auto mode, which saves electricity by running the conveyor motor only when needed. Turn off at your dishwashers at night; Replace torn wash curtains; Repair leaks and replace worn spray heads. It’s important to perform an energy audit on your facility. Energy service providers (utilities), state energy offices, and private sector product and service providers can assist you in identifying a trained professional to conduct your audit. Always hire and experienced professional to inspect, install and maintain your commercial equipment. What are your energy management solutions?